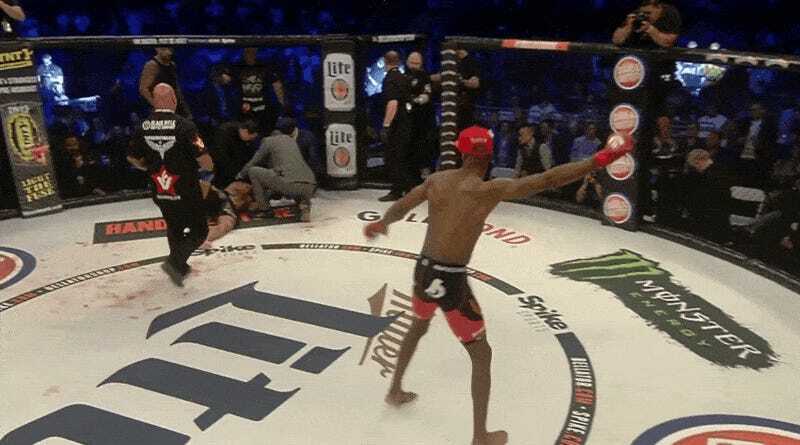 Contrary to Michael “Venom” Page’s demonstration at tonight’s Bellator MMA match indicates, one does not need to jump knee their Pokémon in the face before catching them in Pokémon Go. Though I suppose it wouldn’t hurt. Or it would. A lot. Page is known for his unorthodox fighting style, which might explain why he followed up his devastating jump knee to Evangelista “Cyborg”’s face at tonight’s Bellator MMA match in London by tossing one of his balls at his downed opponent. My favorite is the Yatta! pose at the end. Oh Venom, Chun-Li would destroy you, and she wouldn’t need any Pokeballs to do it.